This is a prophesy concerning us Moors following our defeat at the hands of the so-called "Rome" ( Roman Catholics ). The "Island" in the "extreme west", was also a term used to describe Atlantis / America. 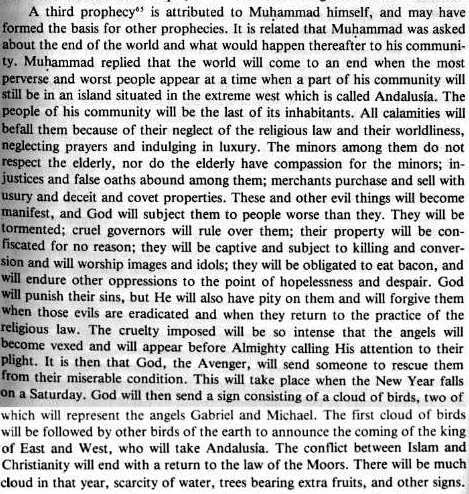 This prophesy definitely deals with the plight of our people. We are in a state of "hopelessness and despair". Even the Angels are vexed. The "New Year" which begins on saturday, is the new year of Jan 1, 2000, which is on a Saturday.